Australian artists Marian Hosking and Julie Blyfield have both been selected to take part in the 18th Silver Triennial in Germany. 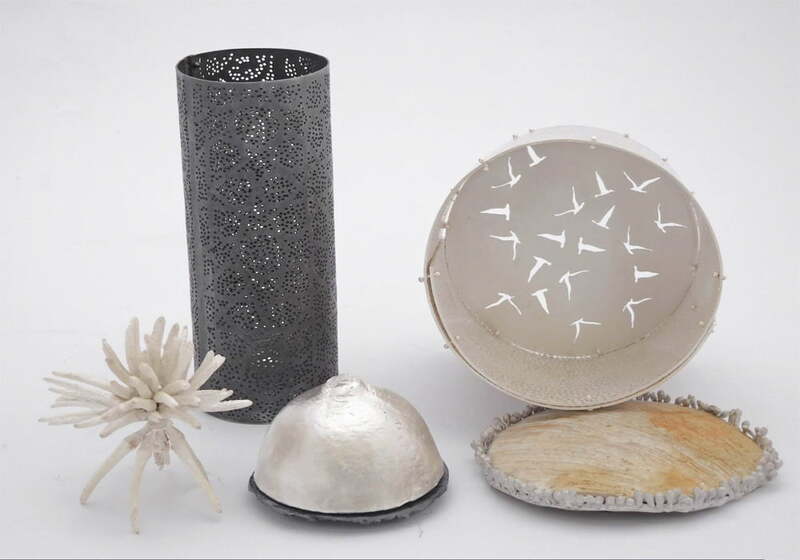 Organized by the Gesellschaft für Goldschmiedekunst (Association for Goldsmiths’ Art) and the Deutsches Goldschmiedehaus Hanau (German Goldsmiths’ House), the Triennial has promoted international contemporary silversmithing since 1965. The exhibition will take place at the German Goldsmiths’ House in Hanau and other venues through until early 2018. Marian Hosking, Bush and Beach vessels, 2016, sterling silver, abalone shell.